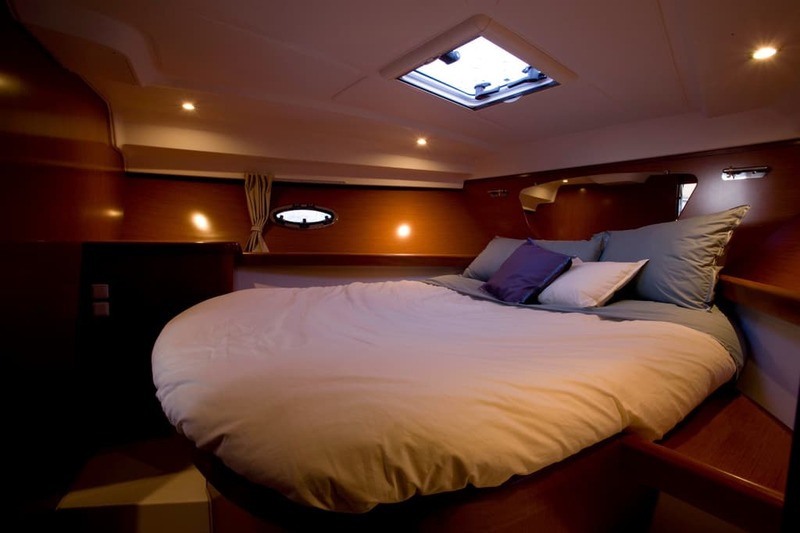 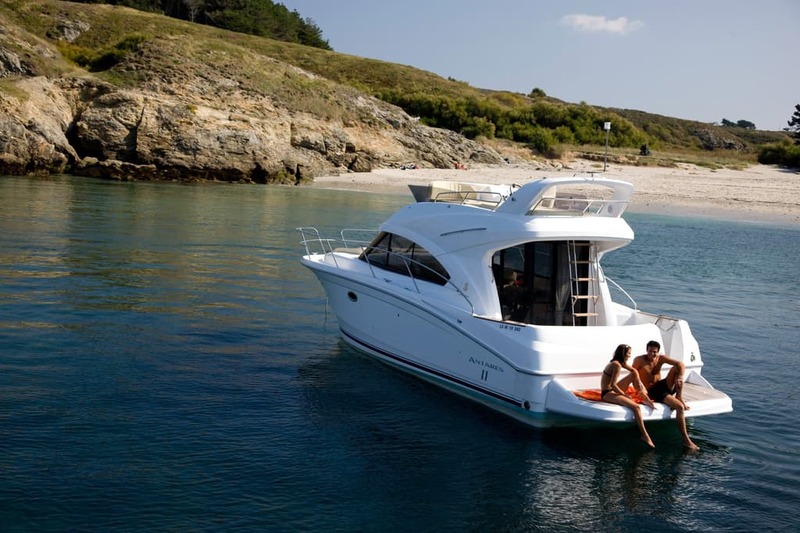 The Antares 36 focuses on pleasure underway and at anchor. 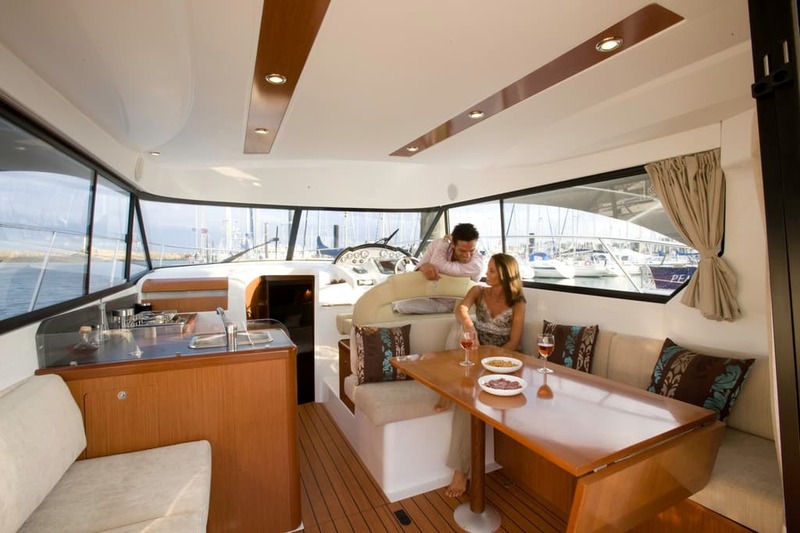 The interior fittings are designed to be convivial and highly functional. 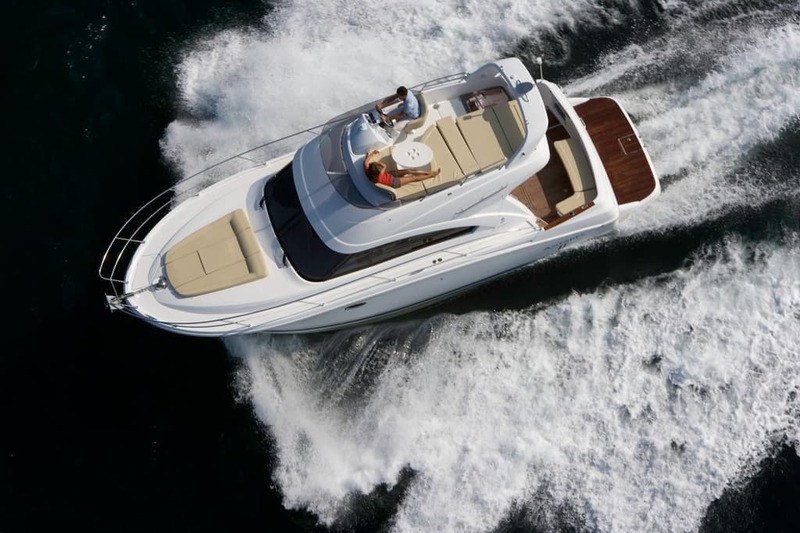 Her flared-out hull cuts comfortably through all types of sea with remarkable stability. 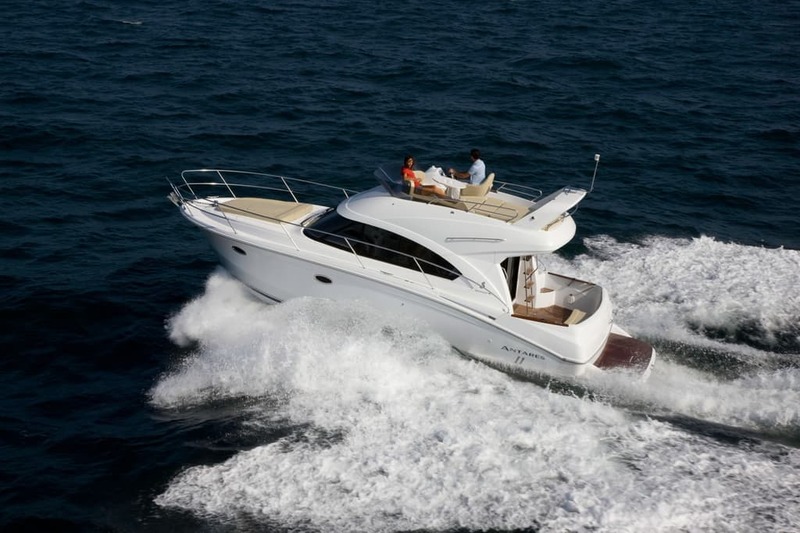 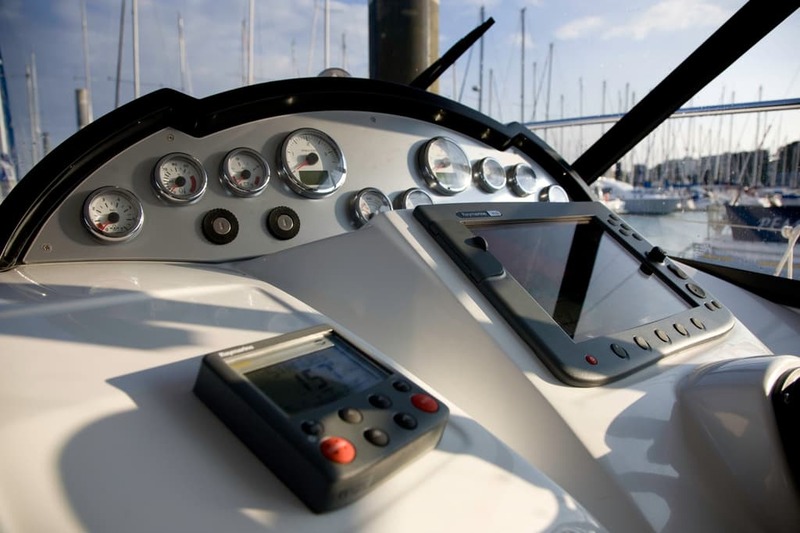 Beneteau Power Boat designed the hull of the Antares 36 and her distinctive style is by Sarrazin Design. 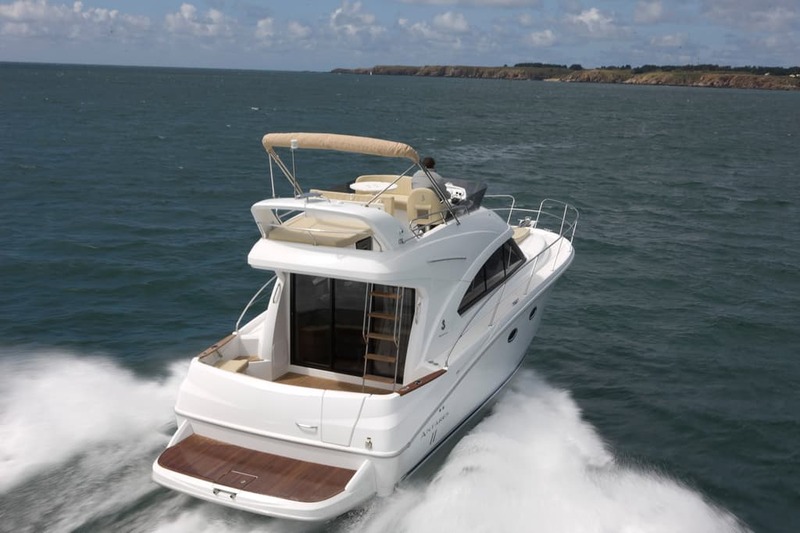 She has a generous flybridge offering a second driving station, a real lounge and a sunbathing area. 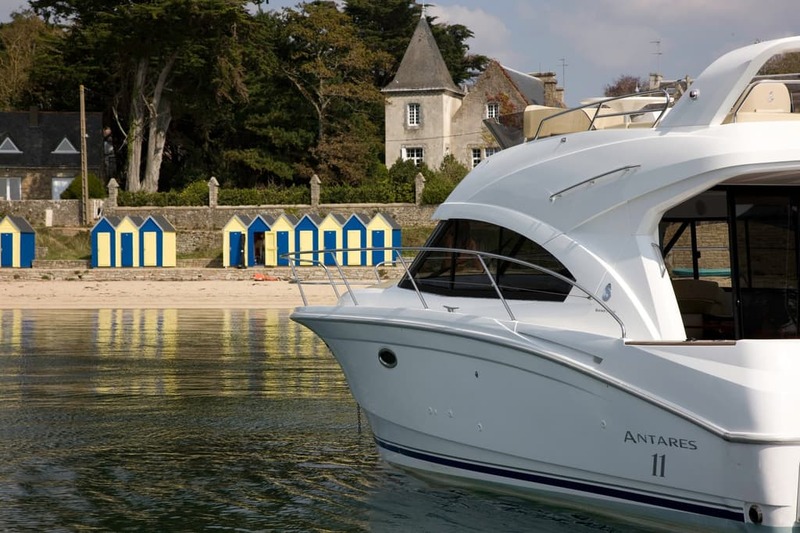 Designed for worry-free sailing, the Antares 36 has the same exceptional sea-keeping specific to the range. 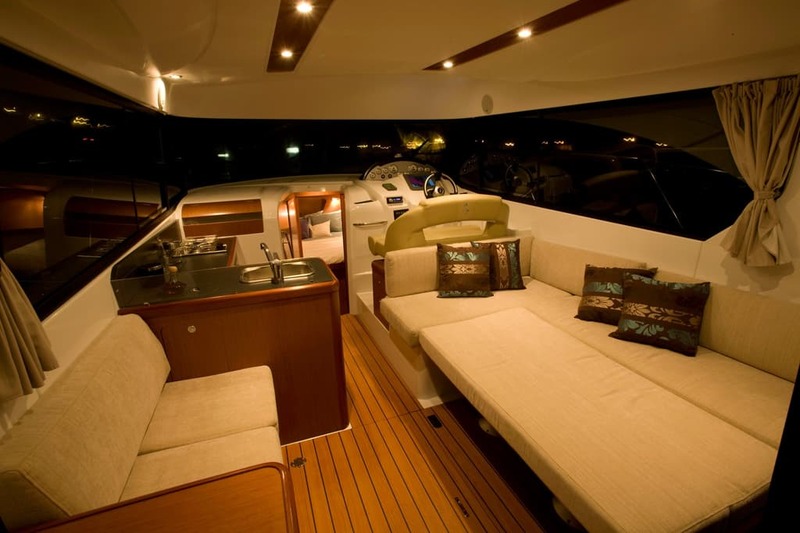 She promises memorable family cruises in premium comfort and complete safety. 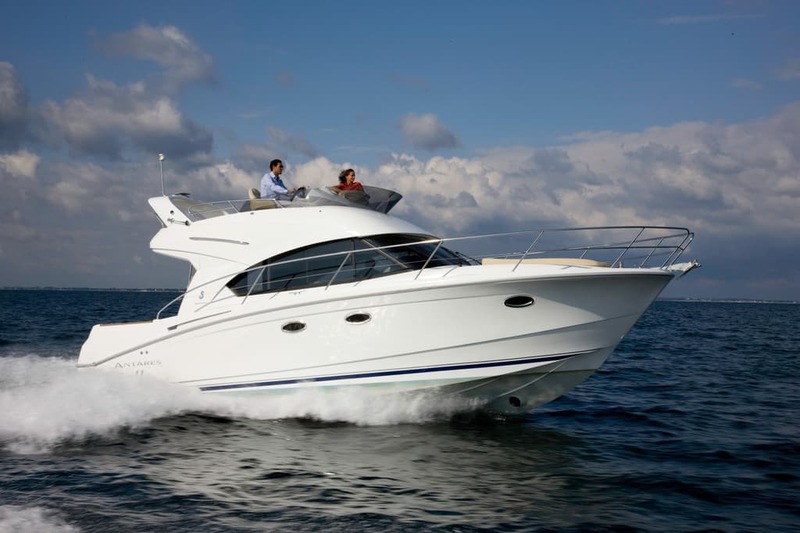 She offer a program geared towards cruising. 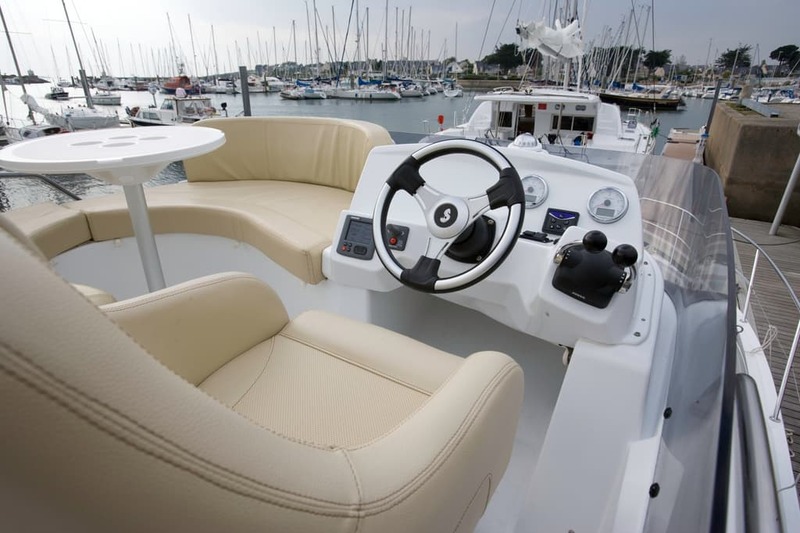 Apart from its great sea-keeping, a feature of the whole Antares range, the living space for this size of boat cannot be matched. 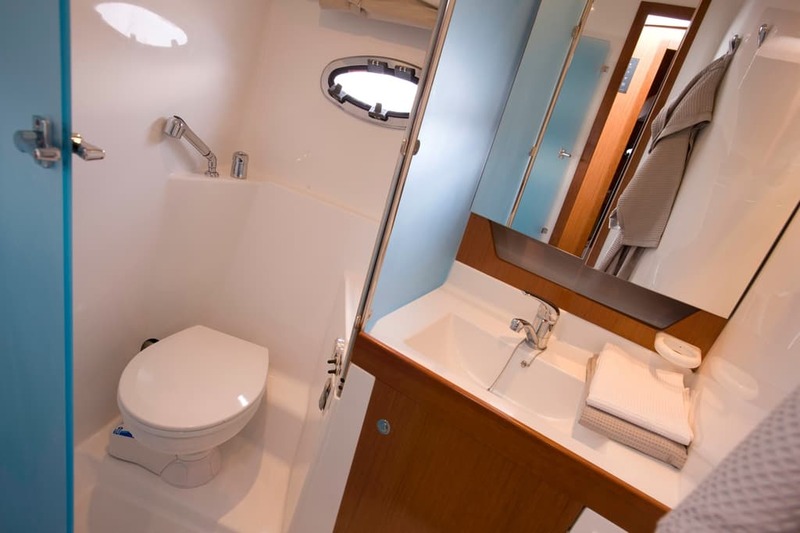 Its fittings are highly functional making life on board easy and pleasant. 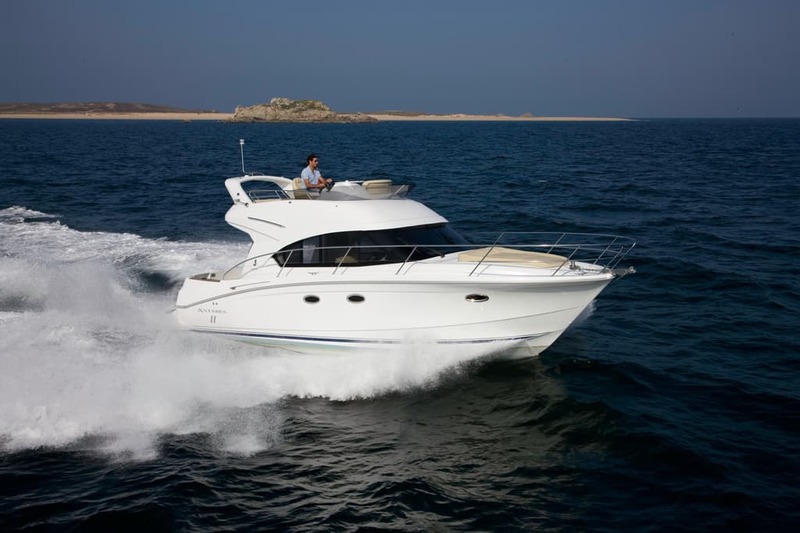 Classic and timeless, she easily adapts to different boating programmes. 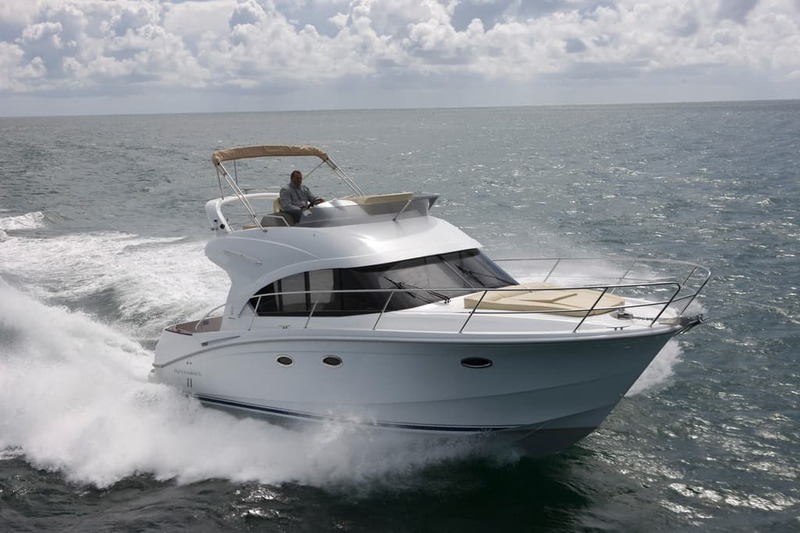 Loyal to the range, her hull is designed for excellent sea-keeping, making it particularly reliable. 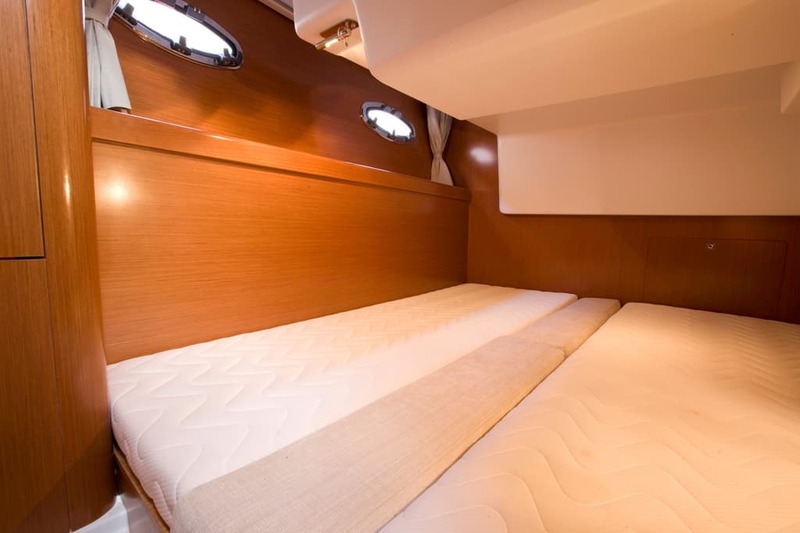 She has a surprising amount of space on board for relaxing or sharing.